Tea has been around for almost 5,000 years. It was first discovered in China and has since become a staple of the human diet across the globe. The hot and iced beverage rose from humble beginnings into one of the most consumed beverages on the planet. Since tea leaves were first infused in China thousands of years ago, it’s delighted us with its range of flavors and potent health benefits. The flavors and aromas offer something for everyone, whether you prefer spicy or sweet, mild or bold. Drinking tea is so much more than simply drinking leaves in water. The history of tea, its importance in cultural ceremonies, and the myriad varieties all deepen the tea drinking experience. Discover the world of tea and find out everything there is to know about this dazzling drink. To truly understand tea, you need to know what actually constitutes a tea. There are three main categories of tea: true tea, herbal tea, and flavored tea. These teas are differentiated by the plants that are used to make the tea. There are also subcategories within each of these categories, to further make the distinction between different types of tea. Many new tea drinkers are surprised to find out that herbal teas and flavored teas aren’t really teas. That’s because these types of tea don’t contain any plant parts of the tea plant known by the scientific name Camellia sinensis. Herbal teas and flavored teas infuse spices, herbs, and flowers in water to make what’s called a tisane. Read on to find out more about these different categories of tea. There are three main types of tea. True teas are infusions made from the leaves of the Camellia sinensis plant. These teas are the traditional teas that were discovered thousands of years ago. There are five true teas: white tea, green tea, oolong tea, black tea, and pu-erh tea. These are the teas most scientists refer to when doing research on the health benefits of tea. Even though these teas come from the leaves of the same tea plant, they differ wildly in flavor, aroma, and appearance. White tea is delicate and airy while black tea is intensely pungent and bold. How can these tease vary so much when they come from the same leaves? The answer lies in the production process. Some true teas like oolong and black tea are oxidized. This process exposes enzymes in the tea leaves to oxygen, which results in a darkening of the leaves. Other true teas such as white tea and green tea are prevented from oxidizing. This results in a milder, more natural and earthy flavor. Here, we’ll break down difference between the true teas. White tea is the least processed true tea. It undergoes the simplest production process, which is designed to maintain its natural look and flavor. Tea leaves are plucked by hand and then immediately dried outdoors in natural sunlight. Only the youngest leaves of the tea plant are used to make white tea. 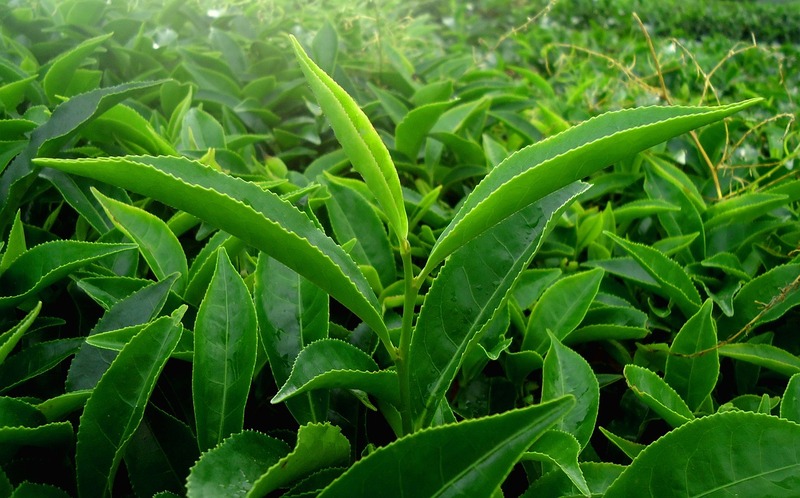 Typically, producers harvest just the first two leaves of each tea shoot. Most white teas are produced in the Fujian province of China. Recently, white tea plantations have been developed in Sri Lanka as well as Africa. These new white teas are sold as White Ceylon and African White to differentiate from the traditional white teas produced in China. The two highest quality white tea varieties are Silver Needle and White Peony. Silver Needle is made using only the buds of the tea leaf plant. It boasts a sweet flavor that is reminiscent of honeysuckle. White Peony is made using both buds and leaves from the Camellia sinensis plant. This white tea has a robust flavor that is sweet and mildly sharp. White tea overall has a subtle flavor profile that is delicate and naturally sweet. This tea is mild enough to suit the taste buds of new tea drinkers and nuanced enough to be beloved by tea connoisseurs. White tea is light yellow in appearance, although some varieties made with stems and larger leaves may have a slightly green hue. In addition to the sweet flavor profile, white tea contains undertones that are floral and fruity. This tea is often consumed with a slice of lemon or a small amount of honey to accentuate the sweet flavor profile. Like white tea, green tea is made from leaves that are only minimally processed. Green tea leaves are not oxidized, but they do undergo a slightly longer production process than white teas. Green tea leaves are hand harvested and immediately transported to an onsite production facility. Here, the teas leaves are spread out on large bamboo or cloth mats where they are withered. This step of the production process helps to reduce moisture content of the tea leaves. Sip history straight from the cup with our Sencha Fuji Green Tea that boasts flavors discovered 800 years ago. Once the leaves are limp, they are blasted with heat to prevent oxidation. In general, green tea leaves are either pan-fired or steamed during the drying process. As the tea leaves are being dried, tea masters begin to shape the tea leaves. Popular green tea leaf shapes include pearls, spindles, balls, and cakes depending on the varietal. Green tea is most commonly produced in China and Japan. The green teas from both of these nations are distinct due to the differences in production. Most Chinese green teas are dried using pan-firing or other roasting methods. As a result, Chinese green teas tend to have a toasty flavor that is earthy. On the other hand, Japanese green teas are typically steam dried. This creates green teas that are grassy and vegetal in flavor. Japanese green teas tend to have a milder and sweeter flavor than Chinese green teas. Popular varieties of Japanese green tea include sencha, matcha, and genmaicha. Sencha green tea is the most widely available Japanese green tea. It is mildly sweet and typically sold in delicate spindles. Matcha tea is a stone-ground tea that is sold in a fine powder form. It is popularly brewed in lattes and as a culinary food additive. 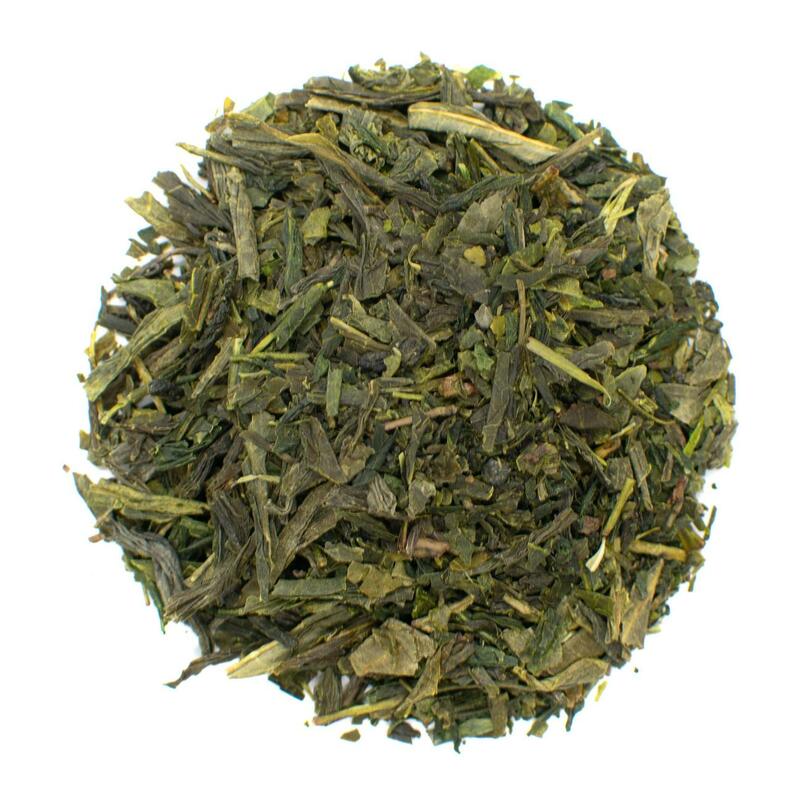 Genmaicha tea is a blend of green tea leaves mixed with popped rice kernels. It is an affordable tea that taste similar to Chinese green teas because of its toasted notes. Chinese green teas have roasted, nutty flavors while Japanese green teas are vegetal and herbaceous. Green tea is typically light green or pale yellow in color. Depending on the variety, green tea may have fruity undertones or grassy notes. Green teas may have astringent flavors, but this can be avoided if you brew green tea the right way. Oolong tea, known in China as “wulong tea,” is a semi-oxidized tea. The tea leaves are allowed to oxidize, but only for a short period of time. The flavor and color of oolong tea are stronger than green tea, but more mellow than black tea. 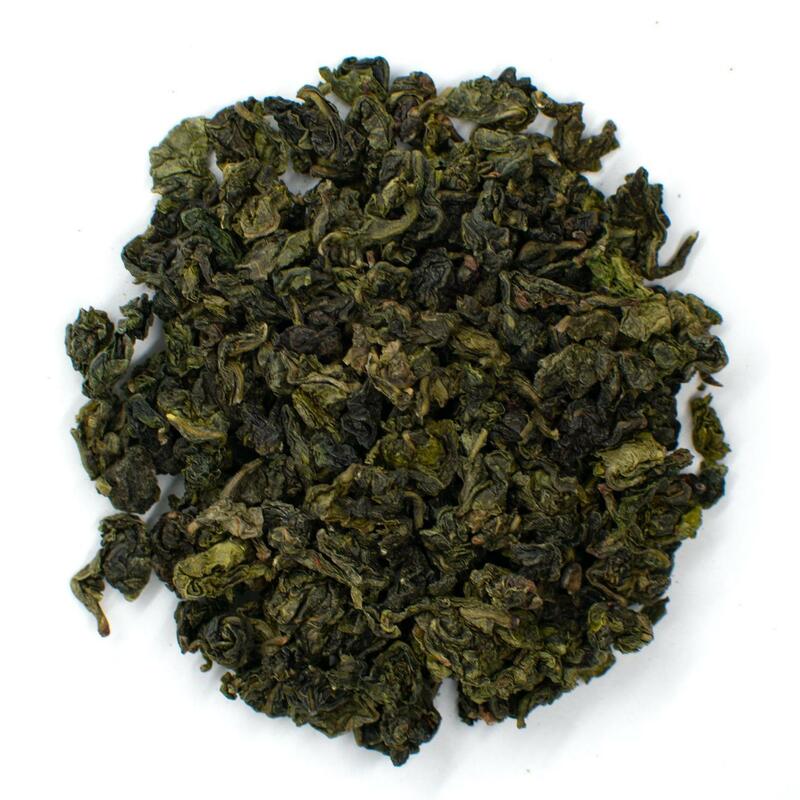 Our Iron Goddess of Mercy Oolong Tea is premium grade with a bold flavor and crisp finish. Oolong tea leaves undergo a moderate production process consisting of: hand harvesting, withering, rolling, short-term oxidation, and drying. 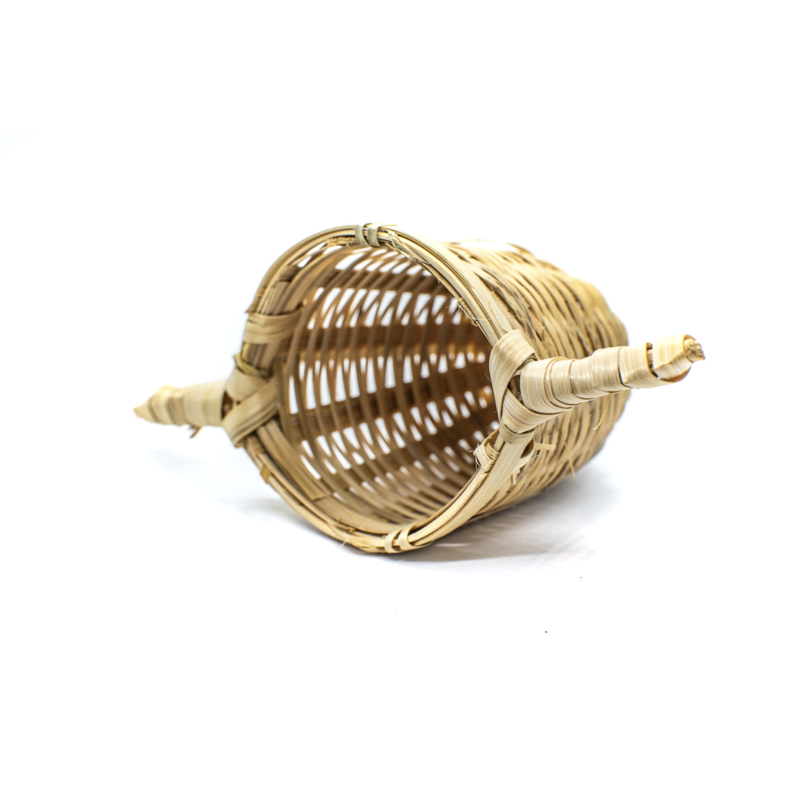 The plucked tea leaves are withered and bruised in bamboo baskets or on bamboo mats. The bruising exposes enzymes in the tea leaves to oxygen. These enzymes begin a controlled fermentation process that alters the flavor and color of the leaves. Oolong teas are cultivated exclusively in China and Taiwan. Most oolong teas are classified by the region in which they are grown. This helps to reflect the different flavor profiles caused by terroir—the idea that soil composition, climate, and other regional factors impact the way foods taste. The flavor of oolong teas can vary dramatically depending on where they were grown. The flavor of oolong teas also differs depending on how long the leaves are oxidized. Oolong teas can undergo anywhere from 8 to 80 percent oxidation. The least oxidized oolong teas are called pouchongs. Pouchong tea is floral and tastes similar to green tea. The most heavily oxidized oolong tea is a Chinese creation known as Da Hong Pao. It offers a malty flavor that is strong yet smooth. 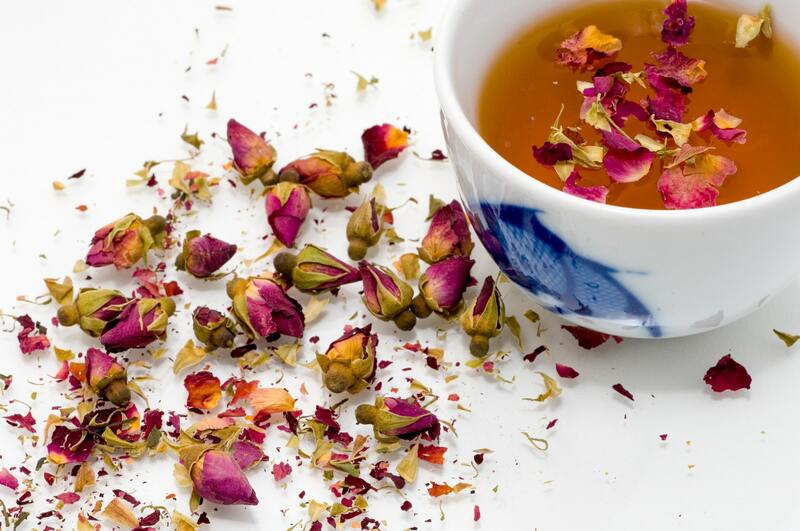 In general, oolong teas feature a floral flavor with a smooth finish. These teas typically have a medium body. Oolong tea can appear pale green or amber in color. Our Chinese Black Pearl Gunpowder Tea features a delicate pellet shape that unfurls dramatically when brewed. Black tea is the most processed of the true tea varieties. It undergoes a process of withering, rolling, oxidation, and drying. The lengthy production process produces a tea that is bold and reminiscent of the flavor of coffee. Black teas are most commonly produced in China, India, Sri Lanka, and Africa. The largest black tea growing regions are the Assam and Darjeeling areas of India. This is followed by Nilgiri, Sri Lanka—the third largest growing region in the country formerly known as Ceylon. Black teas, like oolong teas, are typically named after the regions in which they are produced. Black teas cultivated in Assam are made using the tea variety called Camellia sinensis var. assamica. These teas are fully oxidized and appear deep black in color. Tea plants in Darjeeling are of the Camellia sinensis var. sinensis variety. Darjeeling teas are only semi-oxidized due to the climate of the region. Ceylon black teas cultivated in Sri Lanka are characterized by the long, wiry shape of the leaves. Most Chinese black teas including Keemun are cultivated in Yunnan province. Chinese black teas are typically stronger and maltier than Indian varieties. Black teas are dark brown or reddish amber when brewed. 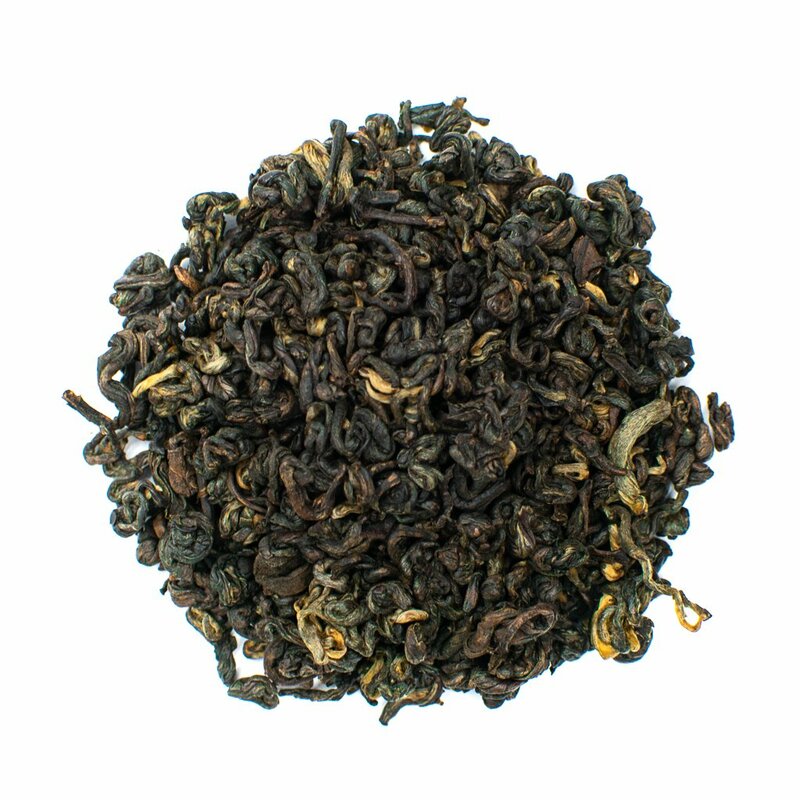 Assam black tea features a malty flavor with earthy aromas. Darjeeling black teas are more delicate with floral, and fruity flavors. 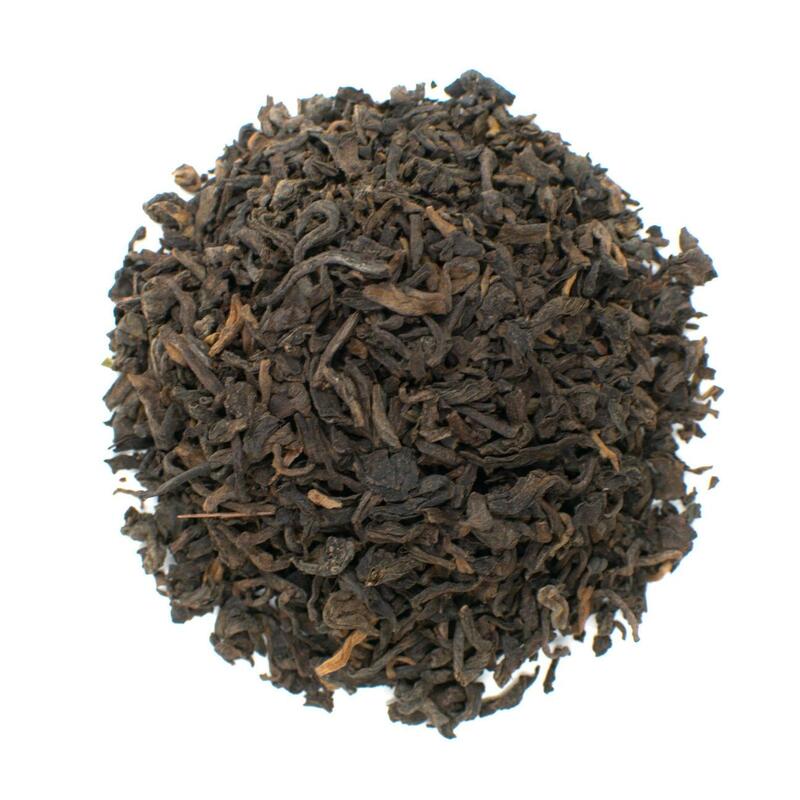 Ceylon black tea features hints of chocolate and has a bold, full-bodied flavor. Our Pu-erh Special 3-Year Aged Tea has a rich flavor with hints of roasted chocolate. Pu'er or pu-erh teas are made from the leaves of the Camellia sinensis plant, but are post-oxidized. Pu-erh tea consists of two categories: raw pu-erh and aged pu-erh. Raw pu-erh tea undergoes a production process similar to green tea. The leaves are hand harvested, withered, and then subjected to heat to prevent oxidation. The result is a tea that is technically a green tea varietal, but often sold as raw pu-erh depending on production. Aged pu-erh tea is post-oxidized. The carefully controlled process allows the leaves to age just like fine wines. As the leaves age, they undergo a natural oxidation process. Pu-erh tea leaves are typically aged anywhere from 10 to 15 years. The highest quality aged pu-erh teas can be aged for up to 50 years. Raw pu-erh teas are most similar in flavor and aroma to green teas. They tend to be lighter in color and have roasted or vegetal flavors. Aged pu-erh teas are closer to black tea in flavor. They are dark reddish color in color and boast robust flavors. Pu-erh tea is sold in tea bags, loose leaf form, tea blocks, mushrooms, and pearls. Herbal teas do not contain any leaves from the tea plant. Instead, these beverages are made by infusing spices, herbs, flowers, and twigs in hot water. There are thousands of flavors when it comes to herbal teas due to the wide variety of plants used to make infusions. Popular spice teas include turmeric tea, ginger tea, and peppermint tea. 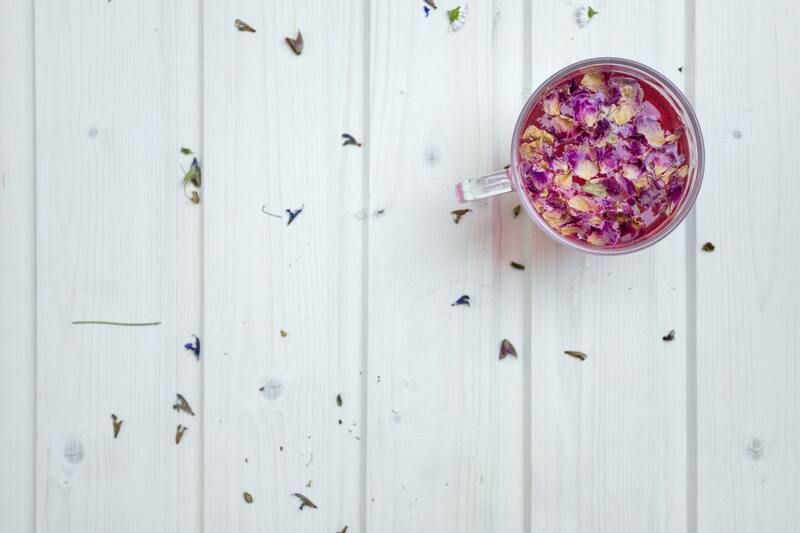 There are also hundreds of floral teas such as hibiscus tea, lavender tea, and jasmine tea. 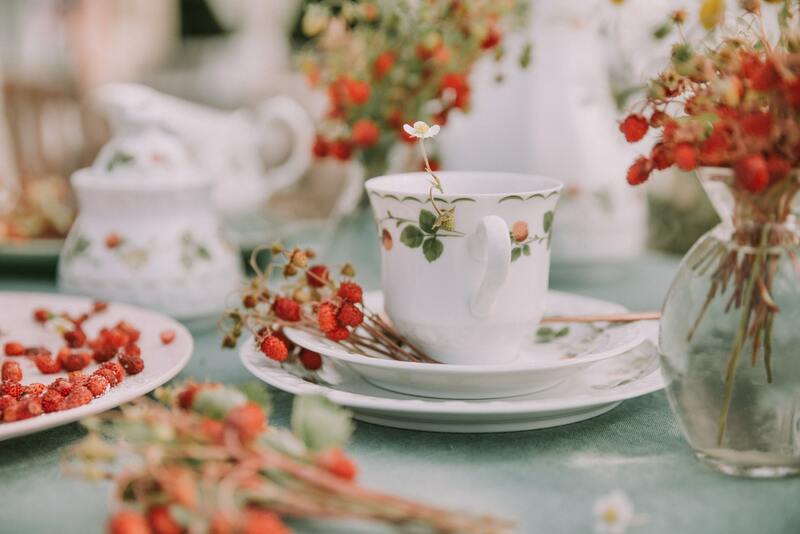 While the health benefits of true teas have long been researched by scientists, herbal teas have only recently piqued the interest of mainstream medical practitioners. Herbal teas have been used in traditional medicine such as Ayurveda for thousands of years. Flavored teas are made by combining true teas with herbal tisanes. A true tea such as green tea or black tea is used as a base while herbs, spices, and flowers are added to create stunning flavor profiles. Some of the most popular flavored teas include Earl Grey and masala chai. Earl Grey is a popular British tea that infuses black tea with bergamot orange. It is a citrusy delight that blends fruity and malty flavors. Masala chai is a popular Indian beverage that combines spices and a black tea base. Typically, masala chai is made with an Assam or Darjeeling black tea and five spices: black peppercorn, cardamom, clove, cinnamon, and ginger. It boasts a spicy flavor that is evened out by the addition of creamy nut or dairy milk. The story of tea begins like most things do: as part of a mystical legend. In 2737 B.C.E, the Chinese emperor Shen Nong discovered tea on accident. 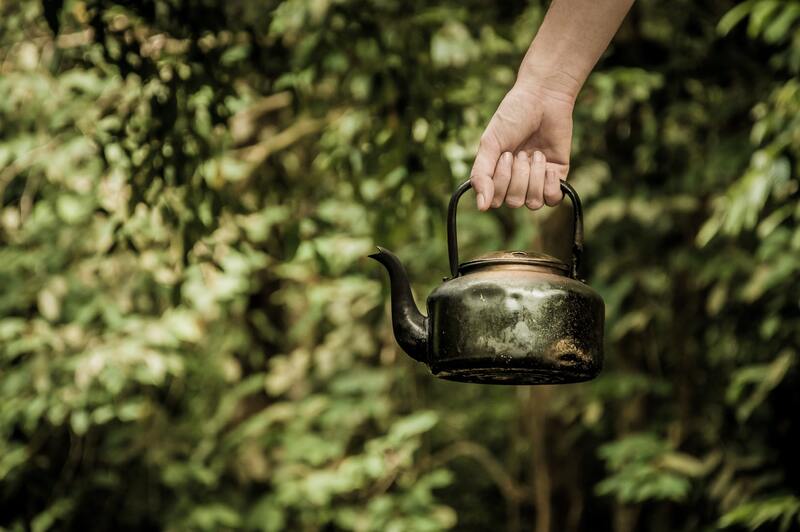 According to ancient tales, stray tea leaves drifted into the emperor’s boiling pot of water. And so began a centuries-long love affair with tea. While legends abound, pinpointing the exact origin of tea is difficult. Most researchers believe the tea plant originated in the Yunnan province of China. Additional evidence demonstrates that Tibet and Northern India may also have been home to native tea plants. While discovered in the B.C.E time period, it didn’t become a popular beverage until much later. Tea finally gained widespread popularity under the Tang Dynasty, which ruled in 600 to 900 A.D. It was during this time that the tea ceremony was developed. The Tang rulers felt tea was such an important part of the culture that they declared it the national drink of China. After its popularity soared in China, it was only natural that tea would make its mark outside the country’s borders as well. Visiting monks from Japan, including the famous Saichō, brought tea seeds back from China to Japan during the early 9th century. However, it would take more than 300 years before tea plantations became large enough to attract a true following in Japan. In China, the tea leaves were typically brewed in hot water. The Japanese chose to instead grind the leaves into a powder for infusion. Known today as matcha green tea, it was prepared with a bamboo whisk known as a chasen and a large wide-brimmed bowl called a chawan. This tea drinking ceremony is known as the Japanese tea ceremony. It consists of brewing techniques, accessories, and presentation. We have Japan to thank for the way we drink tea today. Prior to the Ming Dynasty, tea drinking consisted simply of taking fresh tea leaves and soaking them in water. The Ming Dynasty created the tea production process including harvesting, drying, rolling, and heating that is used today. Tea didn't become popular in the west until the 17th century when global trade was established. The wide reaches of trade brought tea along the silk road to Russia and the Middle East. A Portuguese missionary brought tea back to Europe after completing work in China. The Dutch East India Company began delivering the first major shipments of tea from Asia in 1610. While tea stated to make a splash in the west, it was still largely a luxury item. It was mainly restricted to aristocracy in large European cities such as Paris and London. The exotic origins of tea made it a sign that the drinker was of elite status. It wasn’t for another 50 years that tea began to appear in local coffee houses across London. Thomas Garraway was the founder of the first successful British tea shop. He sold tea leaves imported by the Dutch East India Company. As the demand for tea grew, the British East India Company established itself as a direct competitor to the Dutch East India Company. The company created tea plantations in Macau and India in order to counter the Chinese monopoly of tea. Experts from China were brought over to India to teach the British and locals how to harvest and produce the beverage. By 1823, the Assam and Darjeeling regions of India were producing large quantities of tea. Tea estates were built and soon tea plants dominated the rolling hillsides. Tea naturally made its way from Britain to the United States when it was a colony. Today, the tea industry has exponentially increased the available flavors and varieties. Tea no longer comes only from the leaves of one plant. There are infusions from spices and herbs, flowers and fruits—all because one day, thousands of years ago, a tea leaf fell into a pot of water. Tea is revered in Asia and other parts of the globe thanks to its health benefits. Research in its health benefits has ranged from accelerating weight loss to the possibility of cancer prevention. Tea contains a variety of chemicals and compounds that contribute to its flavor profile and health benefits. The main compounds in tea are polyphenols, antioxidants, and catechins. Polyphenols make up about 30 percent of the weight of dry tea leaves. Most of these polyphenols are flavonoids and tannins, which the plant produces to fend off disease. Tannins are also responsible for the flavor profiles of teas. Flavonoids contain antioxidants such as EGCG, which have been credited with multiple health benefits. These antioxidants work to eliminate free radicals that can cause oxidative stress—the body’s version of rust. This helps to prevent premature aging as well as serious neurological diseases. The chemical composition of tea differs depending on the type of tea and how it is produced. Teas that are minimally processed—white tea and green tea—tend to have similar amounts of polyphenols as fresh leaves. Teas that undergo oxidation—oolong tea, black tea, and pu-erh tea—have lower levels of polyphenols. That’s because oxidation converts polyphenols into theaflavins and thearubigins. These compounds develop rich, robust flavors. Some teas, especially herbal teas, contain high concentrations of vitamins and minerals. These may help support immune health and fend off disease. Herbal teas contain compounds that may help to lower blood pressure and trigger neurotransmitters in the brain to induce calm. Some citrus and floral teas have high concentrations of vitamin C that may improve the appearance of skin and fight off the common cold and flu. Tea is cultivated in dozens of countries across the globe. The main producers of tea include China, India, Sri Lanka, and Kenya. In fact, in 2016 China and India were responsible for more than 60 percent of the world’s tea production. India is the largest producer of black tea while China and Japan are the largest producers of green tea. The main tea growing region in Japan is Shizuoka prefecture. In China, the main tea producing regions are the Fujian, Hainan, and Anhui provinces. 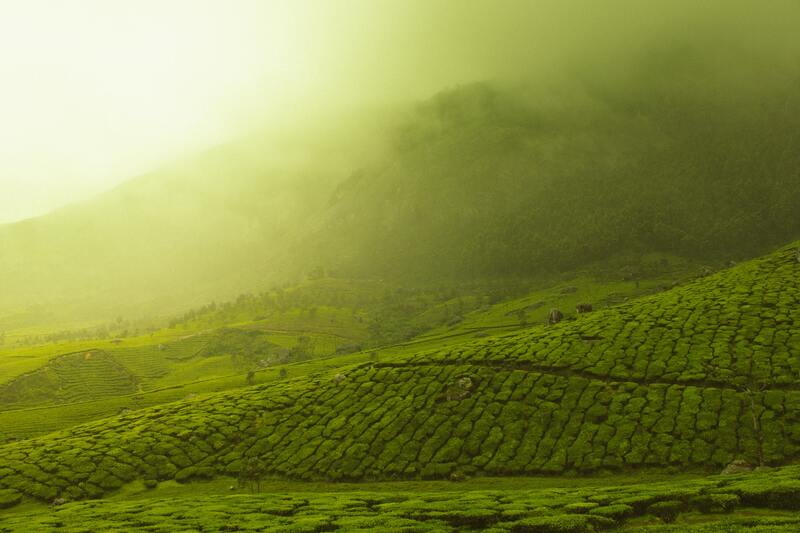 In India, the majority of tea plantations are in the Assam and Darjeeling regions. Tea plants do best in cooler climates with high amounts of rainfall—at least 40 inches per year. Tea plants prefer acidic soils and develop different flavors depending on the altitude at which they are grown. 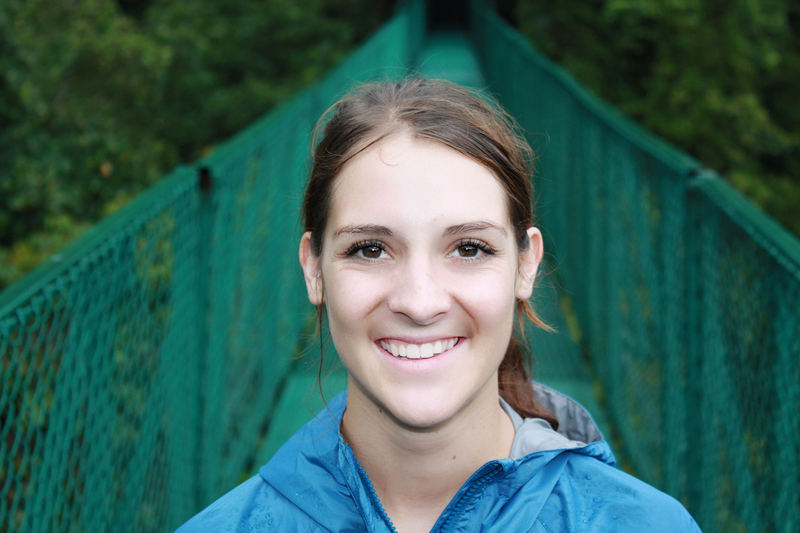 Tea is grown at elevations from sea level and up to altitudes of more than 7,000 feet. Plants cultivated at higher elevations grow more slowly and have complex flavor profiles. These tend to be considered higher quality for most tea types. Tea leaves are not harvested from plants until the plants reach at least three years of age. Tea was initially harvested by hand, then by machine, and now mainly by hand again. While machines sped up the production process, they also damaged the tea leaves and produced lower quality teas. 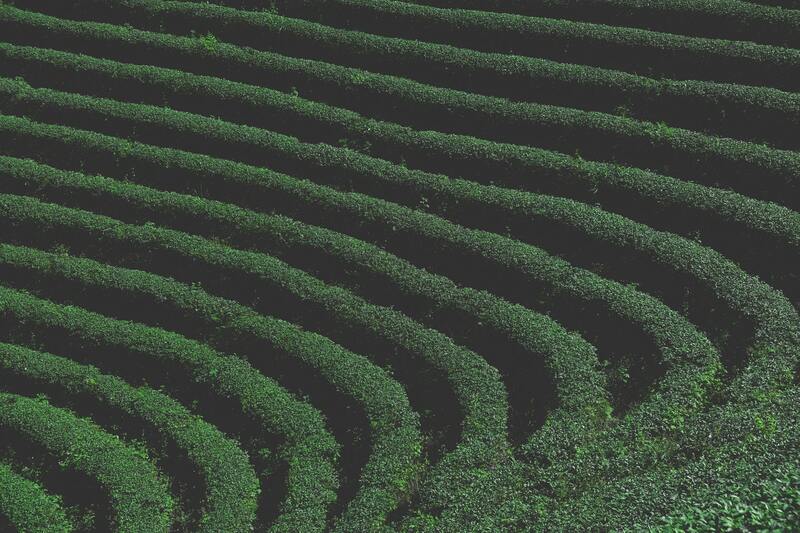 Today, most tea leaves are harvested by hand to protect the integrity of the health benefits and flavor. Harvests can occur anywhere from once to several times per year depending on the tea type. Harvests are called flushes, which refers to the growth of new tea leaves. The first flush occurs each spring with the final flush usually taking place in late autumn. Tea plants can grow up to several meters in height, but most plants used for cultivation are pruned constantly. This makes it easier to harvest the leaves by hand and ensures a steady supply of the newest leaves and buds. The constant pruning encourages faster growth and new tea shoots thus maximizing harvest yields. Tea harvesters hand pick the tea leaves and place them in large wicker baskets. Once the baskets are full, the leaves are taken to an on-site processing facility. Here the leaves are withered, oxidized, and dried depending on what type of tea is being produced. What Is the Caffeine Content of Tea? True teas contain naturally occurring caffeine. In fact, true tea leaves contain higher concentrations of caffeine that coffee beans do. Wait, why does coffee have more caffeine than tea, then? 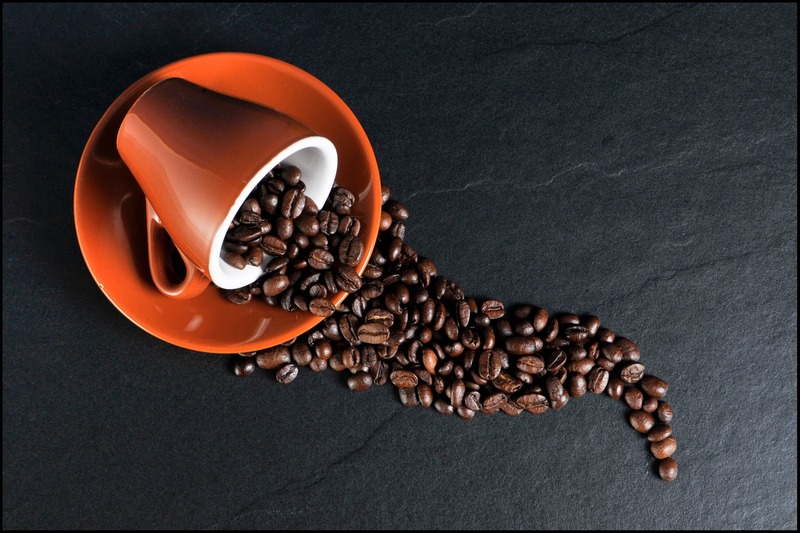 Coffee is made by grinding the beans into a powder that is then infused in water. Tea leaves, on the other hand, are only steeped for a short period of time and then removed. Since you drink the entire coffee bean and not the whole tea leaf, you get less caffeine. The same is true for matcha green tea powder versus green tea leaves. Matcha has significantly higher amounts of caffeine than other green teas. Coffee contains more caffeine because of the way it is infused in water and because it is more easily absorbed by your body. Tea contains an amino acid known as L-theanine that slows the absorption of caffeine. This means less caffeine is processed when you drink it. L-theanine helps to even out the release of caffeine so you don’t experience the highs and lows associated with coffee consumption. It’s hard to say exactly how much caffeine is in each cup of tea because it depend on the way the leaves are cultivated and produced. Herbal teas are naturally caffeine free since they don’t contain any leaves from the tea plant. They are a great choice if you’re looking to decrease your caffeine intake or are sensitive to caffeine. Flavored teas may contain small amounts of caffeine since they combine herbal tisanes and true tea bases. Flavored teas can have anywhere from a tenth to half the amount of caffeine as a cup of coffee. Not all teas are the same when it comes to quality and flavor. Many new tea drinkers start off by using tea bags. Tea bags are convenient and easy to use, but they also tend to have lower quality leaves. Tea bags contain broken tea leaves, dust, and fannings from the production process. These broken pieces have fewer health benefits and less flavor than loose leaf teas. Tea bags also constrict the leaves and prevent them from expanding fully to infuse flavor. If you must use a tea bag, look for larger tea sachets that have more room for the leaves to expand. We always recommend using loose leaf tea instead of tea bags. Loose leaf teas contain full leaves that are higher quality and better tasting. Loose teas can also expand easily since they are not constricted by a tight bag. Using loose leaf tea doesn’t have to be complicated or messy. Check out the nifty tea tools below that can help make brewing tea from loose leaf as easy as tea bags. The secret to a great cup of tea lies in the brewing methods. Many new tea drinkers think true teas taste bitter or sour because they don’t brew them properly. Tea is like any other natural food—it can burn and taste bad when cooked improperly. Different types of tea should be brewed using different temperatures to preserve the flavor of the tea. The quality of water you use and the steeping time can also affect the taste of tea. We’ve got you covered with the tips and tricks you need to brew a perfect cuppa every time. Just like with loose leaf tea, you want to use high quality water when brewing your tea. Avoid distilled water and tap water. Distilled water won’t develop flavors well and tap water contains chemicals and additives that can change the flavor of tea. Instead, use pure, filtered, or spring water for the best results. While you don’t want to actually brew tea leaves in cold water, you should always start out with cold water. If you use hot water from the tap, it can be hard to tell what temperature you are brewing at. Start with cool or room temperature water to avoid brewing at incorrect temperatures. If you want to make iced tea, you should still brew using hot water and then let it cool before serving. Cold water doesn’t develop flavors well. Sweeteners such as honey and sugar should also be added when the water is hot to ensure that they dissolve completely. After quality ingredients, the most essential step to perfect tea brewing is getting the water temperature right. Not all teas should be brewed at the same temperature. Delicate teas such as white tea and green tea should be brewed with cooler water than hardy teas such as black tea and oolong tea. The best way to nail down brewing temperature is to use a temperature-controlled tea kettle. This ensures that your water reaches the exact desired temperature. If you don’t have a temperature-controlled tea kettle, you can use a thermometer. Alternatively, you can start by boiling water and letting it sit for a few minutes before adding more delicate tea leaves. Follow the temperature guidelines below for brewing true tea. The other mistake new tea drinkers is steeping tea for too long. The longer tea steeps, the stronger the flavor will be. For some teas such as green tea, this results in bitter flavors that can be off putting. Always follow the guidelines on your loose leaf tea or tea bag when steeping tea. Most teas should be steeped for 1 to 5 minutes. We recommend steeping for 1 minute and then tasting every 30 seconds to find a flavor you love. Start with these guidelines below and adjust the time to suit the type of tea you prefer and your taste preferences. As mentioned, brewing with loose leaf tea or certain types of tea requires different tools. For example, to brew matcha green tea the traditional way, you’ll need to have a bamboo whisk and a wide-brimmed bowl. Here, we’ll go over the basic tea tools and accessories for brewing tea. 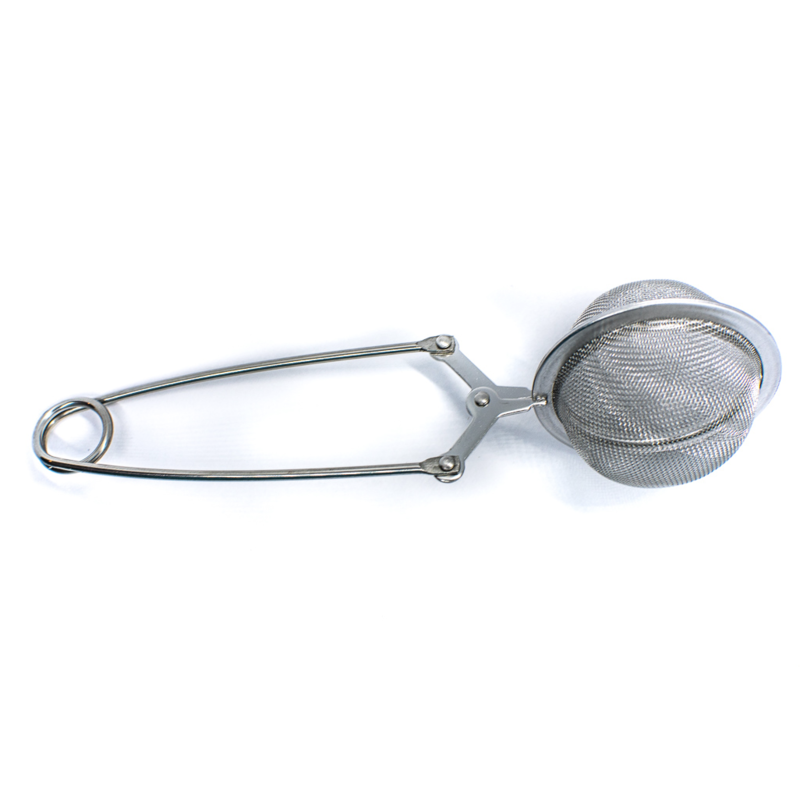 Remove tea leaves easily with our stainless steel Pincer Tea Strainer. Tea infusers are tools that hold loose tea leaves for brewing and steeping. Tea infusers are placed directly into the teapot or inside a tea cup. Some tea infusers have larger holes and need to be used in combination with a strainer. These are typically used for teas that contain spices or grains. Tea infusers are available in different styles and called tea balls, tea makers, and tea eggs. These tools are typically made of mesh or perforated materials. They are most commonly made with heat-resistant materials: stainless steel, bamboo, or silicone. Tea balls are infusers that feature a metal chain that allows for easy removal. Tea ball infusers can also have long handles instead of the metal chains. These types of infuser are best for single-serve cups of tea due to their small size. Most tea balls are made of metal or mesh. Tea masters usually avoid tea balls because they are small and prevent the full flavor profile from developing. If you do want to use a tea ball, choose one that is oval shaped or large to allow the leaves to expand fully. Our Bamboo Tea Strainer preserves the natural flavor of tea in an easy-to-use and affordable tool. Tea baskets are by far the preferred infusers for tea masters and connoisseurs. Tea baskets are spacious and wide, which allows that leaves to fully infuse flavor. Choose tea baskets that are large and spacious for the best results. You can find tea baskets designed for a single cup of tea or larger ones that you can use in a kettle or pot of water. Silicone tea infusers are available in the shape of balls, baskets, and fun creatures. The obvious difference is that these tea tools are made from silicone rather than metal or bamboo. These are considered the most fun of the tea infusers because they come in thousands of shapes and characters. The color and shape options of silicone tea infusers are endless. You can find animal and plant shapes that make brewing tea more fun. Silicone tea infusers are particularly popular for brewing tea for kids and at parties. 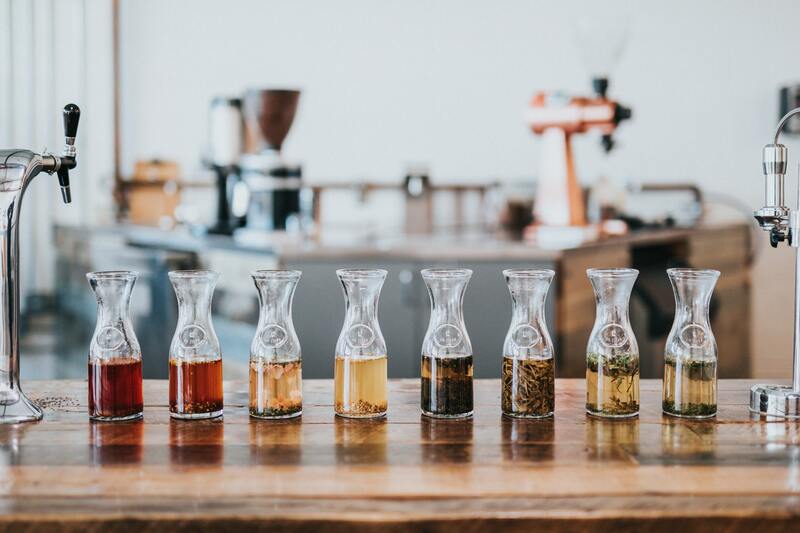 While the malleable shape of silicone makes it easy to clean, these infusers also may prevent tea flavors from developing depending on the size. The silicone can also leave behind a plastic flavor. Choose a silicone infuser that is free from BPA and other chemicals to avoid altering the flavor profile of tea. Most tea kettles are made from glass, ceramic, stainless steel, porcelain, cast iron, or clay. Each of these materials has benefits when it comes to brewing tea. In China, teapots made from clay are known as yixing pots. When using clay pots, it’s important to only brew one type of tea in it. The clay absorbs some of the tea concentrate, enriching the tea drinking experience with each new brew. If you mix different types of tea though, the flavors lose their integrity. Clay pots also retain heat extremely well, but they are breakable so you’ll need to be careful when using them. Porcelain is a popular kettle material that is visually pleasing and seals heat in efficiently. A Chinese favorite is the gaiwan, a lidded bowl made from ceramic or porcelain. These tools are actually tea cups and not kettles. They feature a removable lid that seals in flavor and moisture—particularly useful for brewing green teas. Cast iron is the best option to keep large pots of tea hot for extended periods of time. It is also extremely durable and almost impossible to break. Glass teapots are visually stunning and can add an extra dimension to the enjoyment of tea. Floral teas or pearl teas that unfurl when infused in water look particularly appetizing when brewed in glass teapots. Again, the downside is that these are breakable. Tea mugs are all-in-one tea makers that feature a built-in tea infuser. These are popular because of their simplicity and ease of use. Tea mugs are deeper than normal mugs and contain a built-in infuser that sits on the rim of the mug. Many tea mugs also include a saucer that serves as a lid to seal in flavor and moisture when steeping. These tea mugs also come in to-go options so you can take your brewing on the road. If you consume large amounts of tea or are looking for an infuser for your next tea party, look no further than infuser teapots. Like tea mugs, these teapots feature built-in infusers to streamline the brewing process. Tea infuser pots are available in a variety of materials including ceramic, clay, glass, and porcelain. Make sure to choose a pot that has the largest infuser possible for the best flavors. 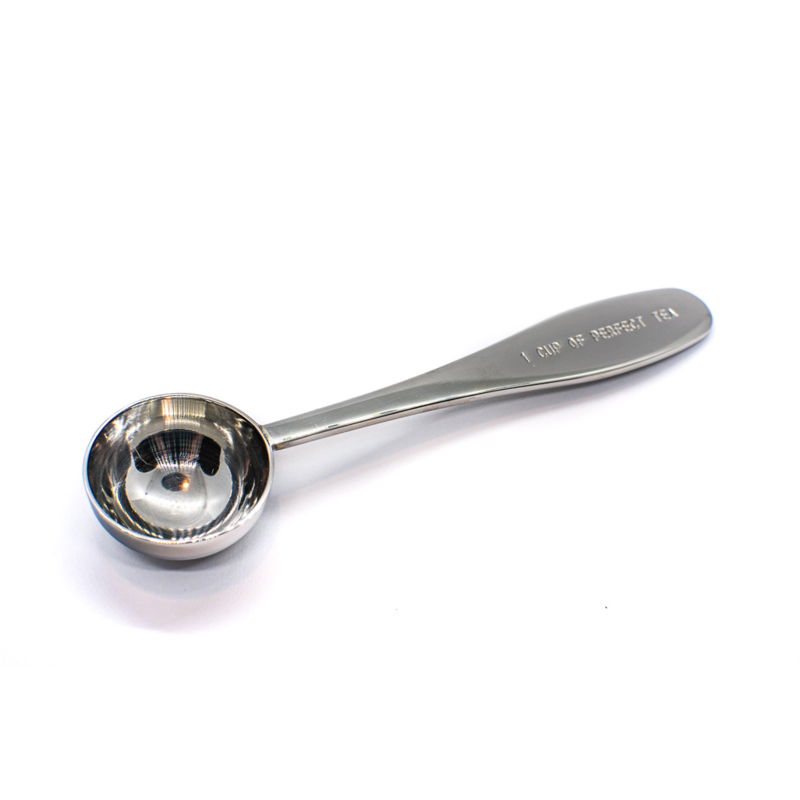 Our stainless steel Perfect Tea Measuring Spoon takes the guesswork out of brewing tea. Tea spoons take the guesswork out of using the right amount of tea. You just add one spoonful of loose leaf tea or powder for every 8-ounce cup of water. Voila! Perfect tea every time. Tea spoons are available in stainless steel and bamboo varieties. A bamboo spoon called a chashaku is particularly common when brewing matcha green tea. It is about seven inches long and made from a single stalk of bamboo. These handy spoons ensure you get the right amount of tea for every serving. Tea is an incredibly diverse beverage that has centuries of culture and tradition folded into its history. Drinking tea is so much more than simply mixing water with tea leaves. The tea drinking experience involves immersing yourself in the culture of tea and the more you know about it, the more complete your experience will be. Knowing how each tea leaf makes its way from the tea estate to your cup enrichens the experience. 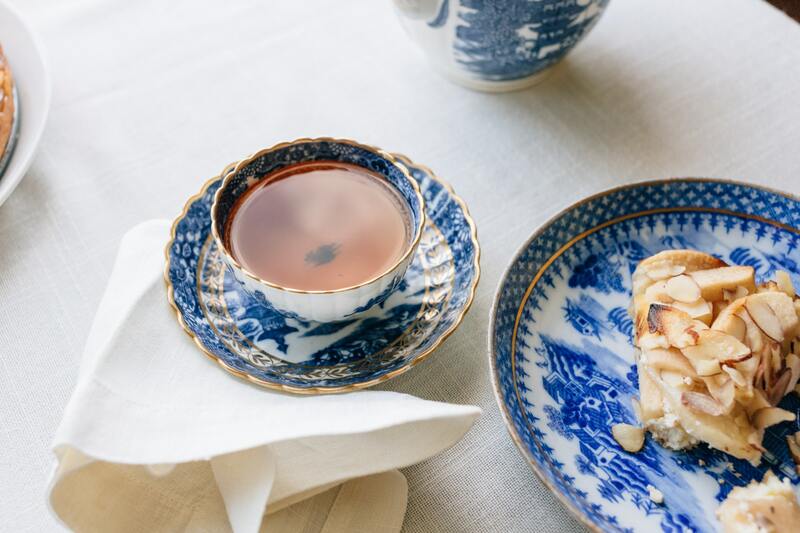 Go beyond the cup by learning the cultural traditions surrounding specific types of tea. Expand your horizons with new flavors and make sure to try different varietals of the same class of tea to discover the nuances of taste. Pour yourself a cup of tea, sit back, and immerse yourself into a world that goes deeper than just the cup and leaf.